MTT poker is very relevant on PokerStar and tournaments are a huge reason why many players choose to play on this particular site. Every year they run some huge tournament series. Typically they have started with the Spring Championship of Online Poker, and then their biggest tournament series occurs later on in the year with the World Championship of Online Poker. While their series always feature a number of turbo events, there has never been a series entirely dedicated to turbo poker. Never until 2012, that is. Just recently PokerStars rolled out the schedule for the first ever Turbo Championhip of Online Poker (TCOOP), scheduled for the second half of January. This exciting new series will feature 50 events and $10 million in guaranteed prizes. Different event options will include knockouts, 2x chance, 6 max, big antes, and much more. Aside from regular turbo, there will also be 2x-turbo, 3x-turbo, and the ever popular hyper-turbo. To make sure that players with all bankrolls can participate, there is a wide range of buy-ins in TCOOP. While the majority of the MTTs feature entry fees under $320 (and as low as $5.50), there are a few bigger ticket events. The largest buy-in is $2.1k, but the biggest draw of the series will probably be the Main Event. The Main Event is a $700 entry with $1.5 million guaranteed. While a leaderboard for TCOOP hasn’t been officially announced yet, a PokerStars rep has stated that one will, indeed, exist. PokerStars leaderboards are extremely popular as they always award fantastic prizes to those that finish on top. 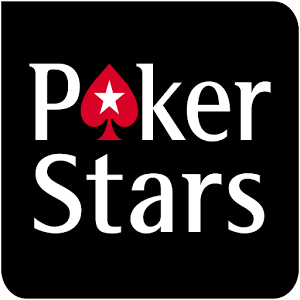 Read our PokerStars review here. PokerStars has expanded its reach to Asia. They created the Asia Pacific Poker Tour (APPT), and their most recent stop was in Macau. The big news early in the event was the Phil Ivey sighting. The former Full Tilt Poker pro hasn’t been seen at any live events since Full Tilt Poker’s huge issues started up in April. We assume that he just stayed home and hid out. While his appearance caused quite the buzz, he was unable to make a deep run in this live event. 575 players showed up for the event at 30,000 Hong Kong Dollars (HKD) per entry. The prize pool topped out at 15,552,600 HKD with 3,772,000 HKD for first place. PokerStars Team Pro Randy “nanonoko” Lew made the final table but was coming in as the table short stack with less than 20 big blinds. Lew didn’t waste time putting those chips to work and got it all-in with QQ, but unfortunately for him David Steicke woke up with AA. Luck was on Lew’s side, though, as a queen spiked on the flop. This vaulted him up the chip counts while crippling Steicke at the same time. Steicke was gone not too long after in 9th place. From here Lew started grinding his way up the chip counts, using his considerable amount of skill and experience in big money situations to his advantage. Lew chipped up some more as he knocked out Kai Yat Fam in 6th place, holding the best hand preflop with TT against Fam’s A4. Lew managed to start heads-up play with a slight chiplead over Jimmy Pan. The two players battled for a little bit with Pan even taking a brief chiplead before relinquishing it after losing a coinflip to Lew. Soon after Lew finished Pan off by flopping top two pair against Pan’s top pair. This was Lew’s first major title in the live scene and will certainly not be the last time we hear from him. Most of the time he is online grinding at PokerStars.com but this win will certainly encourage him to play more live events than usual. All prizes are in HKD.